Introduction: The Maryland State Police (MSP) Tactical Medical Unit (TMU) provides tactical emergency medical support (TEMS) through the deployment of specially trained state trooper tactical paramedics. The MSP TMU maintains an operational database of all mission related medical activity. This information constitutes a robust dataset derived from real world operational medicine experiences. Methods: A retrospective analysis of deidentified entries from the MSP TMU operational response database was performed for the 5-year period of 2007-2013. 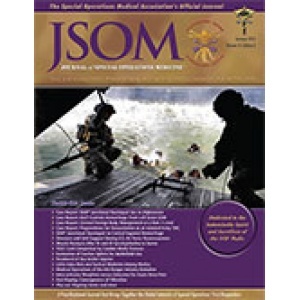 A summative analysis of missions, as well as a subgroup analysis of types of patients encountered, was performed to further characterize patient encounters based on the type of law enforcement tactical mission. Results: Analysis was performed on 1,042 tactical missions, of which there were 367 total patient encounters during the study period. The majority (67%; 246/367) of patients encountered were law enforcement tactical team personnel. The most frequently occurring mission, by type, was high-risk warrant service, accounting for 45% (470/1,042) of all missions in this series. Law enforcement training support missions comprised 25% (259/1,042), and 15% (157/1,042) of all missions in the database were medical standbys for law enforcement operations. The highest number of patient contacts were associated with training activities, resulting in 29% (108/367) of clinical encounters. The next most common mission associated with patient encounters was high-risk warrant service (24%; 88/367). 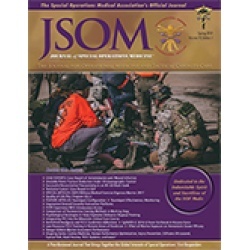 Conclusion: The 5-year analysis conducted in this study represents the largest known retrospective assessment of a state police tactical medical program. Training activities resulted in the highest number of patient encounters by this program, with law enforcement/tactical team personnel comprising the majority of patient encounters. The majority of chief complaints encountered were non-life threatening and reinforce the need for expanded scope of practice training and enhanced treatment protocols for tactical medics.